A heartwarming and funny story about the power of friendship, perfect for fans of Frank Cottrell Boyce, Jacqueline Wilson and Lara Williamson. Victor is a failure at everything - school, girls, making his dad feel better about his mother having left them. When Marie-Jose, the smartest girl in the class and musical prodigy, starts helping him with his maths homework, there must be something she wants in return. A memorable coming-of-age story, told with humour and tenderness, perfect for fans of Frank Cottrell Boyce, Jacqueline Wilson and Lara Williamson. A film adaptation of the novel will be released in France and Germany in October 2016. A thought-provoking and beautifully written debut by a highly regarded author. Pascal Ruter grew up in the southern suburbs of Paris. He loves stories above all, especially ones where the misfortune and severity of life are matched by the absurdity and humour of everyday situations. 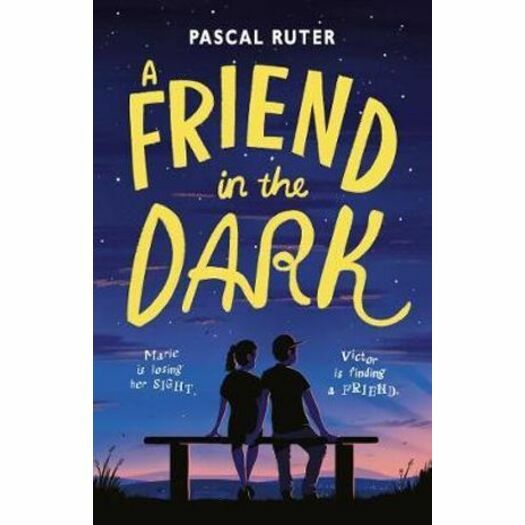 A Friend in the Dark (Le Coeur en Braille) is Pascal's first novel for Walker Books. He currently lives in a tiny village in the middle of the forest of Fontainebleau. A Friend in the Dark (Le Coeur en Braille) was translated into English by Emma Mandley. Emma has translated a wide range of French and Italian texts. She lives in London.